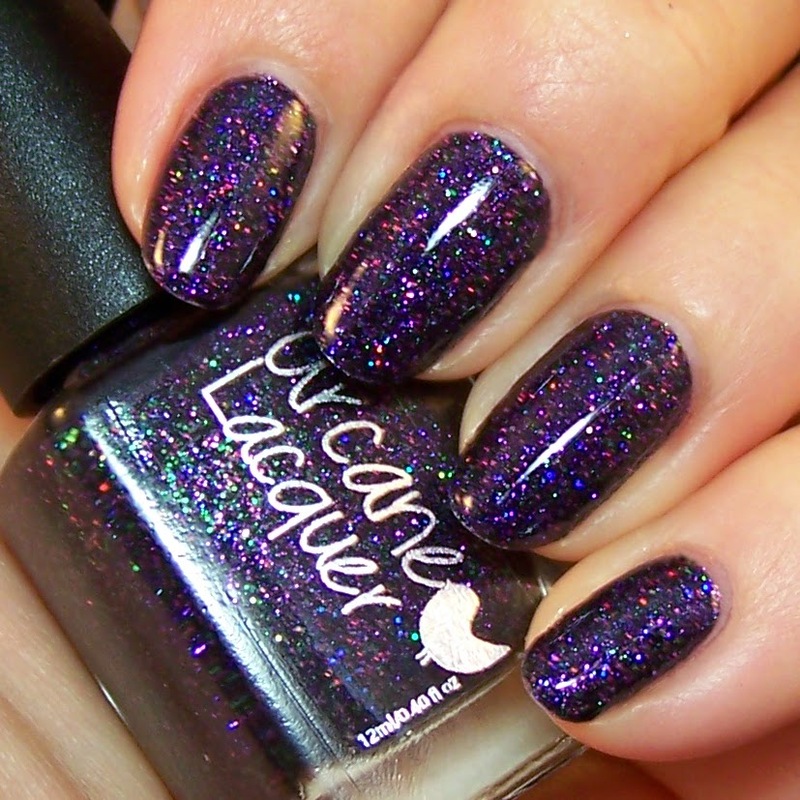 The Power The Passion by Arcane Lacquer was one of many polishes I bought at the latest sale at Norway Nails. I think this was in the sales section so it was already at a very reasonable price, and the sale cut that price with 50%. A bargain! 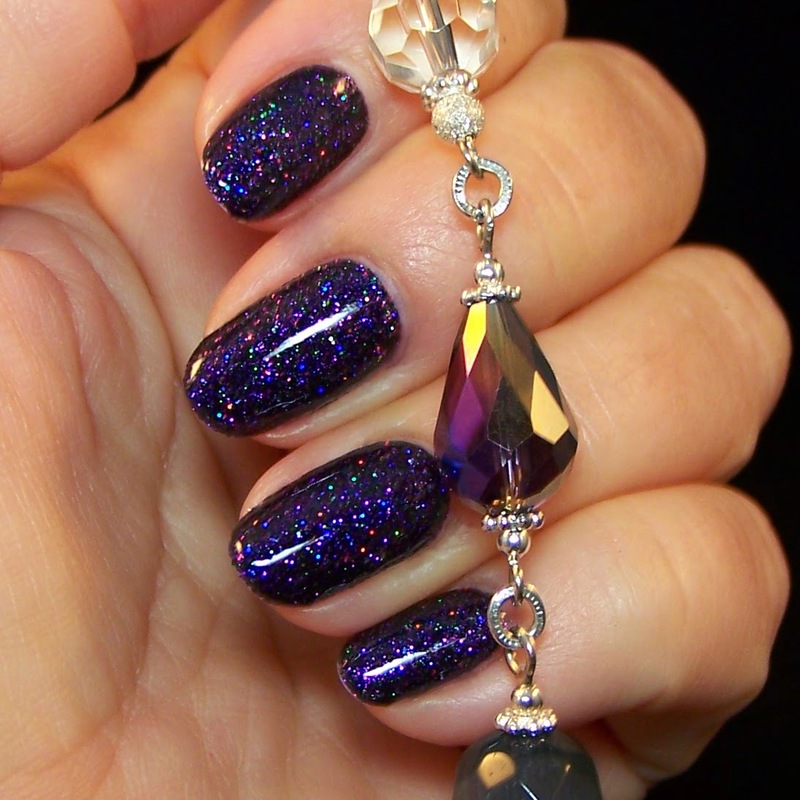 It is a beautiful deep dark blue-ish purple with multi-colored micro-glitter. 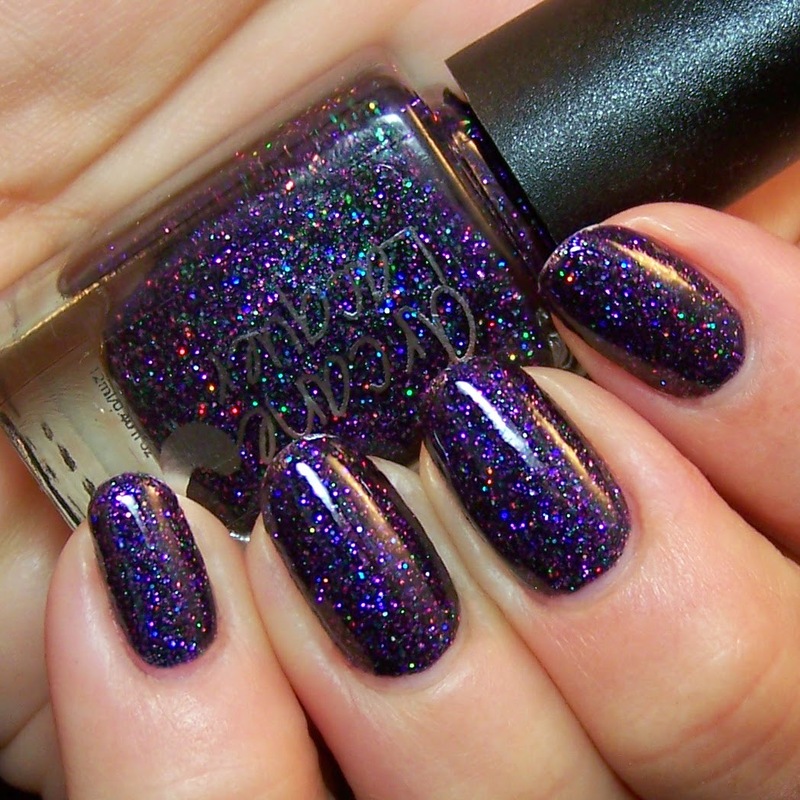 I love this kind of polish, they are like starry skies. In the right lighting it looks like it is really deep, much deeper than the mere millimeter on the nails. Easily applied, two coats gives opacity. 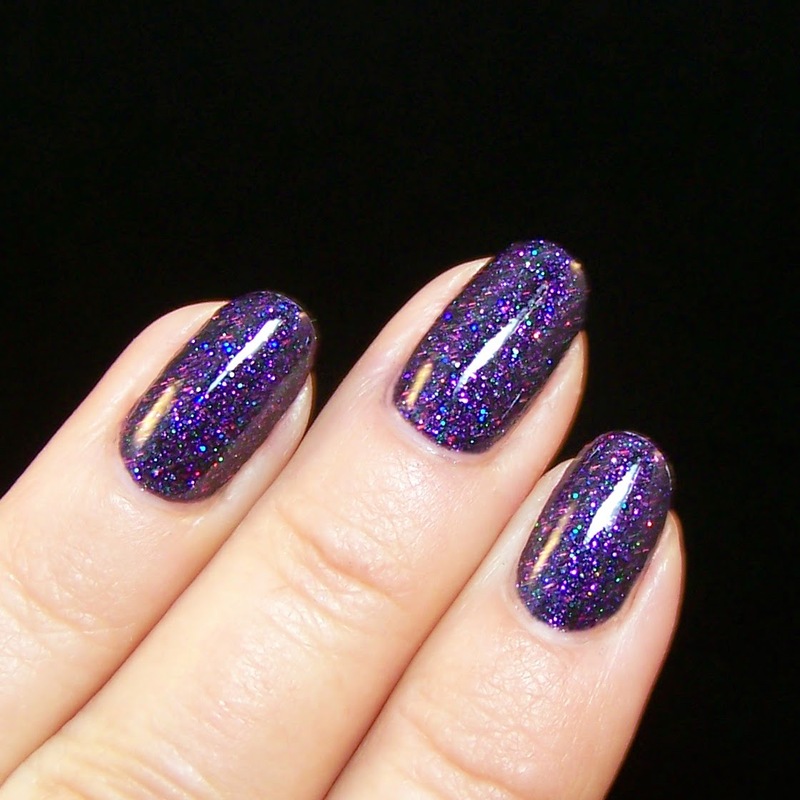 It is lovely without topcoat, a bit of matte finish, but even more beautiful with topcoat. I used two coats of Orly Sec'N Dry. 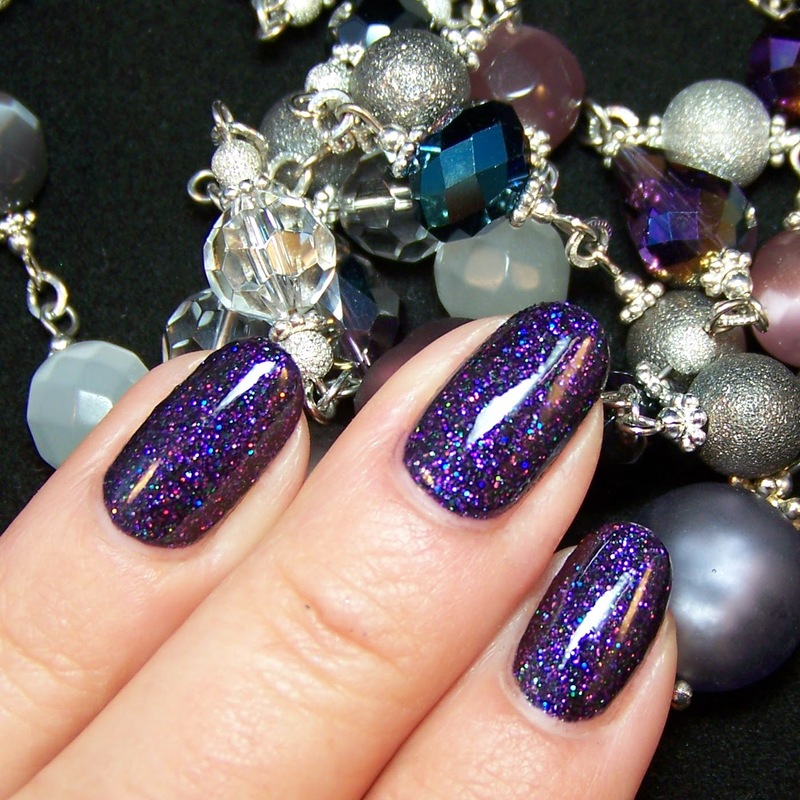 If you have a thicker topcoat, like Seche Vite or similar, on coat might be enough.